Howard's ex-wife Sonia Greene steps up to the plate. In Vienna, the cult presents Adolf with an opportunity to finally make something of himself. 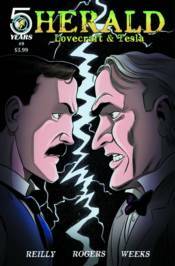 Einstein goes head-to-head with Edison. Twain gets Tesla out of a hole. Houdini and Howard are invited to a very special wedding.